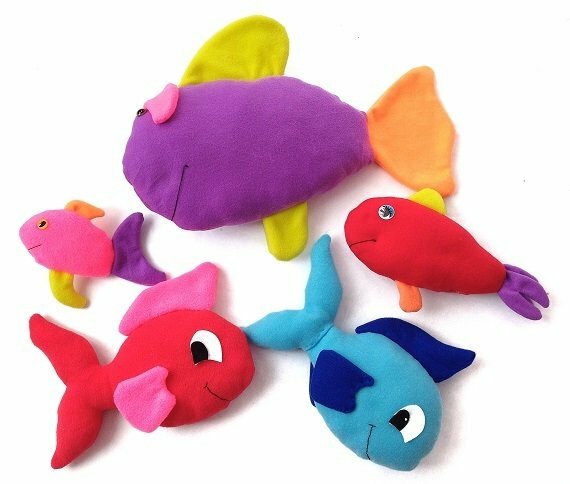 Create a colorful school of adorable plush fish! Includes silly swimmers and red fish, blue fish patterns. Patterns include pattern pieces and instructions. Instructions include photos to help you create your new pets! Made from fleece and felt fabric.